The origin of pomegranate goes back to the shores of the Mediterranean Sea, Iraq, Lebanon, Palestine and most of the Arab world, and it grows up in the automn. It is among the healthiest fruits of all time. This fruit contains various substances that have more than 10 powerful effects on health and body. However, many people are not aware of its risks too. This fruit and its husks contain alkaloid compounds, the most important of which are palatine and glutonic acid. The seeds contain vitamins, sugars, proteins, fatty substances and organic acids, mainly citric acid. It contains also punicalagins. These are particularly strong antioxidants (three times as strong as the substances contained in red wine and green tea). Pomegranate's juice also contains Punic acid, which is also called pomegranate seed oil and it's known for its strong positive health effects. 175 grams of this red fruit contain around 30 % of the daily requirement of vitamin C and about 36 % of the vitamin K requirement. In addition, pomegranates are rich of folic acid and potassium. However, the kernels are very sweet: 175 grams contain about 24 grams of sugar and 144 kilocalories. Moreover, considering their multitude of vitamins, minerals and bioactive plant substances, this is forgivable. 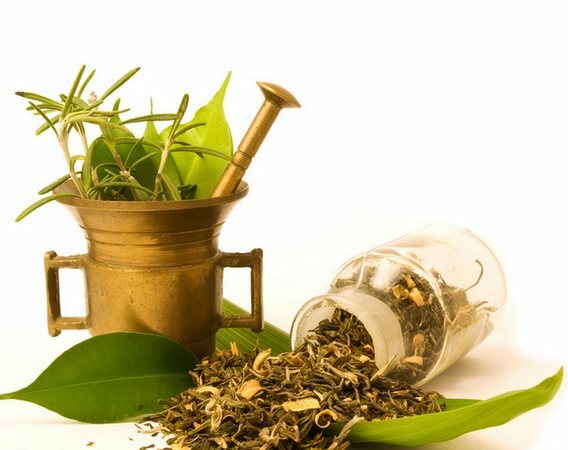 Its ingredients inhibit inflammation, especially in the digestive tract. In addition, they can help to reduce inflammatory processes in breast cancer and colon cancer. Studies have also found that taking 250 ml of pomegranate juice every day, for more than three months, reduces inflammation markers in the body by about one-third. This fruit has also found its place in cancer researches. Studies show that daily consumption of 250 ml of pomegranate juice severely restricts cancer cells' growth. This is applied to both prostate and breast cancer cases. Of course, pomegranates can’t cure, but the fruit may seem to help slow down the spread of cancer cells. High blood pressure is often the reason of serious health problems such as heart attacks and strokes. Drinking pomegranate juice on a regular basis significantly lowers high blood pressure and affects positvely both blood vessels and heart. There are many different types of osteoarthritis. The anti- inflammatory ingredients of pomegranate therefore provide relief in case of problems. As studies have shown, pomegranate extract is able to block enzymes that have been shown to be involved in the development of osteoarthritis. Regularly consuming pomegranate or its juice has proved reducing cholesterol levels. Cholesterol is one of the causes of calcification of arteries and thereby co-induces heart attacks. So lowering your cholesterol level by taking advantage of the pomegranate does not just do your heart a favor, it's really good! 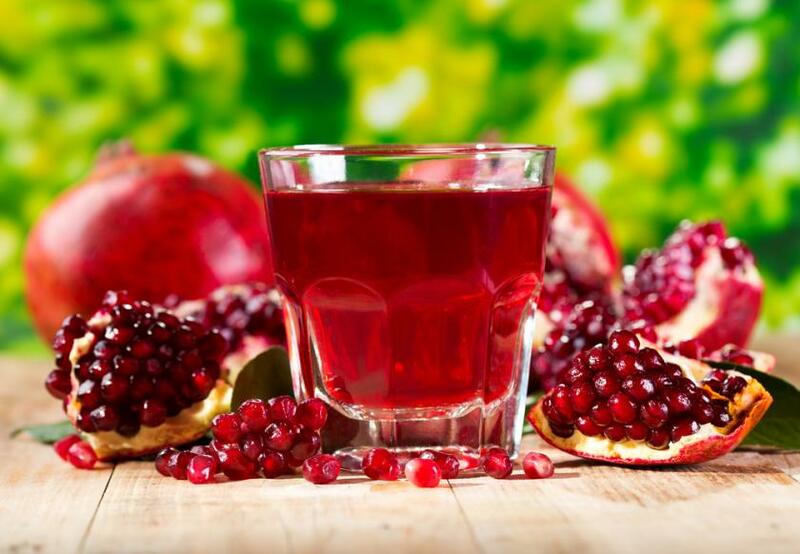 Pomegranate juice keeps the vessels free and ensures good blood flow. This benefits both the heart and the circulation. Initial studies have shown the positive effect of pomegranates, but the exact mode of action with regard to impotence has not yet been proven. Studies have shown that patients who were given two grams of pomegranate extract had less memory loss after surgery than the control group. Studies on elderly persons showed that daily 250 ml of pomegranate juice demonstrably improve both linguistic and visual memory. Studies on athletes have shown that one gram of pomegranate extract taken 30 minutes before training, has been shown to improve blood flow. This leads to a later fatigue, an increase in training effectiveness and thus fitness .Surely more studies will follow, but the first signs are positive. Grenades can help fighting harmful microorganisms. They are an effective weapon against various types of bacteria and help prevent infections and inflammation in the mouth. If you often have sores in the mouth or gingivitis, you can find help during the consumption of this fruit. This fruit is a good source of vitamin C and its oil renews the skin, repairs the damage and leaves it moist and smooth. It nourishes Hair, strengthens its roots and treats its issues. All these benefits can be realized through many skin and hair care receipts. Studies have shown that pomegranate seed extract stimulates contractions, and some women used to abort the pregnancy. It is best to avoid the consumption of pomegranate extract and peels during pregnancy. While drinking your juice does not have the same effect on the uterus, so eating these fruits or drinking this juice does not cause a risk during pregnancy. The chemical compounds in pomegranate juice can inhibit carbamazepine which is used to improve mood and prevent seizures. Some studies suggest that pomegranate juice interferes with an enzyme responsible for the metabolism of many common drugs, such as some cholesterol statins in the body. So consult your doctor about drinking pomegranate juice, if you take medication regularly. Drinking its juice may increase the risk of low blood pressure in people who already have low blood pressure. It can affect blood pressure, and this can interfere with its level and stability during and after any surgical procedure. Stop taking the pomegranate in all its forms at least two weeks before the surgery. Hypertensive patients should consult their physicians before consuming grenades, so that their effect does not interfere with pressure medications. Although the pomegranate acts for the prevention of diabetes, but if you suffer from this disease, you must stay away because it contains a high percentage of sugar. This fruit contains loads of calories. So it should be avoided during a weight loss diet, because high calories can cause the opposite result. Pain and swelling in the mouth. Pomegranates can improve health. Of course, their use will not replace the doctor's visit or medical treatment. So, you should always consult a doctor and follow his advice. Finally, after knowing all these details, everyone should avoid the excessive consumption of this fruit to enjoy and avoid its misdeeds. Do not worry by pricking the fruit. Peeling a pomegranate is not a good idea. So, you can easily get the precious seeds with this simple trick: Cut the pomegranate in the middle. Hold one of the halves over a bowl. Then use a spoon to bang the fruit firmly from the outside - the seeds dissolve and fall into the bowl. It doesn't get easier!